Recent statistics reported by the U.S. Chamber of commerce indicate that companies lose over $40 billion dollars a year due to employee theft, dishonesty, fraud and embezzlement, sexual harassment, absenteeism etc. The end result of these types of employee problems is that everyone pays. Costs of production rise, goods and services are more expensive, employee safety is at risk and insurance costs increase. Simply put, these issues diminish profitability. Our team of investigators have decades of experience managing and working in undercover workplace investigations. Our clients, many of which are large employers, primarily utilize our services to root out theft, identify workplace substance abuse or to meet a specific set of objectives. These clients usually contact us in reaction to recent incidents, such as discovering an Operations Manager has been embezzling tens of thousands of dollars through phony vendors, or because an employee working while impaired by crystal methamphetamine caused a workplace accident resulting in a death or injury. But many smart clients are interested in taking a proactive approach, utilizing our services to gauge employee morale and safety, identify employees who aren’t getting the recognition they deserve because of favoritism, discrimination or nepotism, and to review the real impact of company policies and practices. They want to understand why some employees are not advancing and increasing skill sets, or why sales have stagnated when they should be beating competitors. For proactive and astute employers, we recommend a different type of undercover investigation: the Workplace Evaluation. 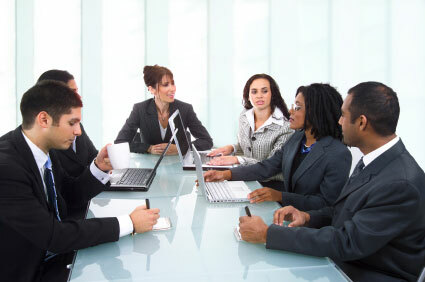 Diversified Risk Management offers the expert assistance your business need to proactively identify and prevent the potential problems associated with substance abuse, employee theft, sexual harassment, white collar crimes and other forms of misconduct and criminal activity from occurring in your workplace. Our Workplace Evaluation program addresses client concerns and assists them in developing proactive solutions. We surreptitiously place operatives into the workplace to monitor and evaluate the work environment and employees. During this process, the operative has daily contact with employees and supervisors and is exposed to areas of concern. This gives us the opportunity to analyze the severity of problems, if they exist. Our case managers provide incremental recommendations to upper management or their labor attorney. When conducting a Workplace Evaluation, one of our main objectives is to assist our client in identifying the strengths and weaknesses in management’s current implementation and governance of employee policies and job assignments. In addition, we can provide detailed insight into employee/employer relations, training, safety and health practices, and a myriad of other matters of concern. The intent of this service is not necessarily to develop information or evidence to discipline or assist in prosecuting employees, temporary employees, contractors or vendors, but to offer management various strategic solutions to minimize legal exposure, safeguarding the workplace against disruptive activity, and gauging the effectiveness of management maximizing profitability and minimizing preventable problems. For many reasons, we recommend our qualified, licensed and experienced Undercover Operatives, and not the owner of a business to conduct internal evaluations. Please keep in mind that a review of workplace demographics is also essential when selecting an undercover operative for a workplace evaluation. For example, if the business is in a warehouse environment where 95% of the workforce is Spanish-speaking Hispanic males under the age of 35, a 50-year-old Caucasian male may “stick out” and would likely have a difficult time assimilating. Such an employee may be perceived as a “snitch” or “big brother”. To prevent that, we work with our clients to assess workforce demographics and to select an Operative best suited to “fit in” to obtain the most accurate picture of daily activities in a specific department or position. From our experience, a successfully Workplace Evaluation is one in which the Undercover Operative’s co-workers never knew that our agent was anything other than a regular employee.